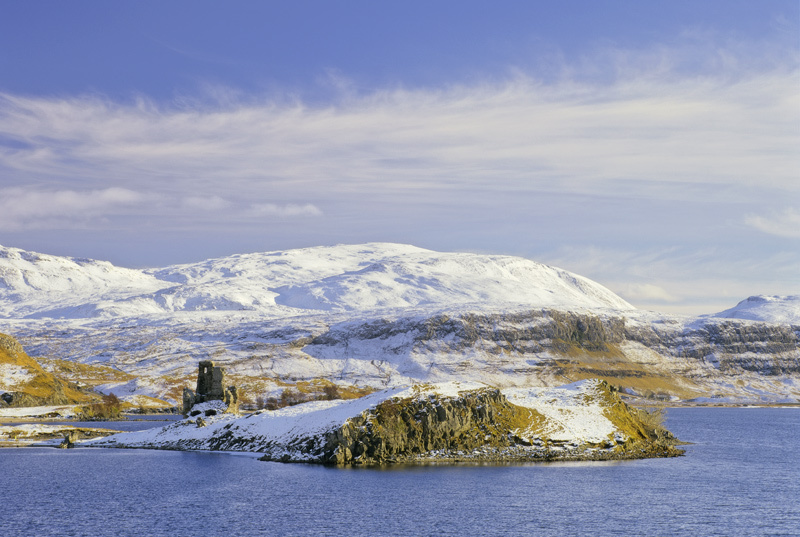 A perfectly straight forward shot of remote Ardvreck Castle on Loch Assynt on a very fine winter's day. Nothing clever about the composition though it does exploit the opposing colours of blue and gold nicely. It is a very fine chocolate box shot, Christmas card or commercial calendar image but more than that it captures that moment when you are standing there in bright sunlight inhaling deeply and thinking to yourself, "man it's good to be alive". Sometimes a box of chocolates is all you need.